The Chief Returning Officer, Prof Zana Akagbu, party agents, senior INEC officials and gentlemen of the press, including Bounce News editor, Ehizojie Okharedia are some of those present at the INEC head office for the announcement of election results. 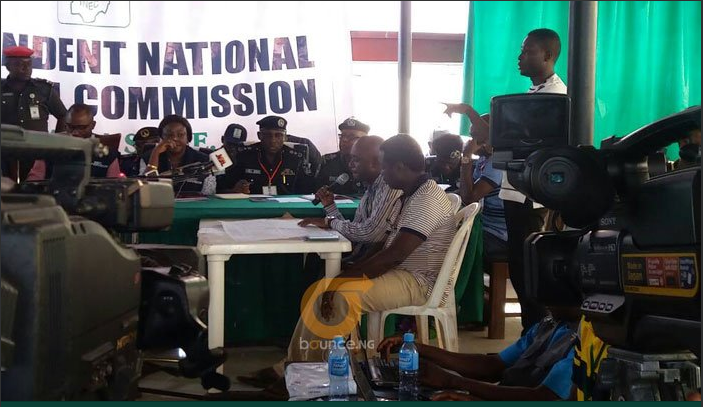 After a successful outing at the polls, the people of Anambra state are about to find out their next governor as Independent National Electoral Commission (INEC) officials begin announcing the official results. Present at the Awka INEC office to witness the announcement by the Chief Returning Officer, Prof Zana Akagbu are party agents, senior INEC officials and gentlemen of the press, including Bounce News editor, Ehizojie Okharedia. 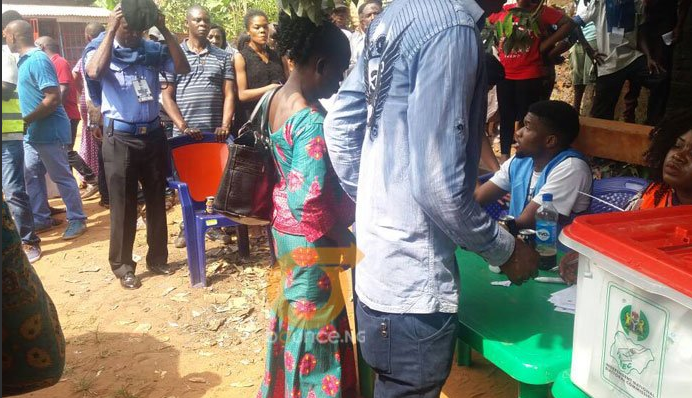 While elections have been largely adjudged free and fair, there were cases of over-voting noted in some communities in Orumba South, leading to cancellation of results in 4 polling units. This was also the case in Aguata LGA where results were cancelled in 4 polling units,, and total number of cancelled results stood ad 2,476. Also, there reports of failed card reader in Oyi LGA as INEC had to resort to manual voting which led to the cancellation of some results.